The growing role of the Internet of Things isn't just an opportunity for businesses to improve their own logistics functions and procurement management. 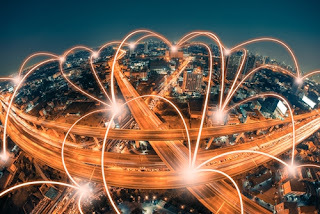 It's also a chance to connect with a wide-reaching trend, as the promise of connecting various different devices increases. The IoT innovations that are most exciting seem like they will coexist, creating some possibilities for companies that want to enhance their current shipping practices. An IoT News piece recently examined this potential future, exploring the way that cities equipped with intelligent software and sensors could work with supply chains for efficiency, and also help support it. According to this source, the capability for this already exists. However, that doesn't mean there isn't still work to be done to achieve the goal of smoothly functioning logistics in cities that adapt to available systems. What is "smart" about these cities? Translating the infrastructure needs of cities to the digital world could, in an ideal world, have several dramatic impacts. A post on NZTech explained these as they would apply to cities in New Zealand, according to the New Zealand IoT Alliance. That group's chair, Graeme Muller, mentioned a few of the uses for IoT-enabled cities, including new ways of gathering data to help inform policies, and, presumably, affect social change. Muller specifically referred to a safety initiative in Wellington drawing from collected data. "It's possible the logistics side could try to meet smart cities." "The data is used operationally to help make the city safer and the Wellington council is also using it to inform its new policy on homelessness," he said. Though the source didn't particularly explore supply chain IoT usage, it did discuss the overall cost reduction that could come with the innovations. For a supply manager, it isn't hard to imagine the benefits of cities with lower crime rates, more efficient traffic management or other functions that can impact how shipments travel through an urban space. If the cities themselves are evolving, it's possible the logistics side will be ready to meet them, at least based on current reports. SAP Leonardo, a smart system with IoT relevance is one of the platforms businesses might be able to use to improve and prioritize IoT enhancement. The company launched a series of IoT Solutions at a recent event in Frankfurt, including tools for manufacturing insights and end-to-end tracking. Like the infrastructure benefits in a smart city, a supply chain stand to harness data and potentially allow for managers to make smarter changes with IoT. A key aspect of this promise is the ability for integration and collaboration, between solutions and, perhaps eventually, on a grander scale. An IoT agenda piece for TechTarget also mentioned the importance of a collaborative approach for furthering smart city development, at least based on the oneTRANSPORT trial program. Along the same lines, businesses and city planners alike need to be ready for what the Internet of Things really offers. Along these lines, an integrated spend analysis approach can help increase transparency before IoT-related devices become more commonplace.